The U.S. Census Bureau is testing systems to ensure the office can handle the expected volume of responses its web site will get for the 2020 population count, Federal News Network reported Thursday. 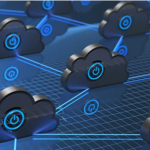 The U.S. Marine Corps is making final touches on a new cloud strategy expected to receive approval before the end of 2018, C4ISR reported Wednesday. William Williford, executive director of USMC's Systems Command, told C4ISRNET at a recent defense summit that the strategy builds on the U.S. Navy's own version.